You need a certain amount of finance to start any successful business. If you don’t have sufficient funding, you must work out how and where you will get a monetary boost. Nowadays, you can find ready loans online from sites like which you can use to kick start a small business of your choice. Depending on you, the loan can either help you start a new business or fund an ongoing investment. When your business needs supplies or some space to expand, you should be able to fund the move with relative ease. Online lenders allow you to avoid the hassle of traditional banking and save you a great deal of time from the endless, cumbersome processes. What you need is a fast lender with a direct process that can help you boost your business at the time of need. Nowadays, you can get a loan in the region of $5,000-500,000 easily and fast with online lenders. Applying for small business loans with these easy applications gives you the time to prepare a working budget and a way forward. If you have concerns over the security and reliability of online applications, take time to research and know your lender well in advance. Reputation is everything in finance and you want to make sure you loan is safe and secure. Gone are the days when you could only turn to traditional banks for a financial pick me up. Coming from traditional banking systems, there are many frequently asked questions for people who don’t understand online personal loans. Different lenders may require collateral for small business loans: that may be anything from a specific collateral or asking for a general lien on some principal assets. From their perspective, collateral minimizes the level of risk associated with the small business loan and offers the lender flexible options and some form of payment if the borrower defaults on the agreed-upon terms of payments. Do I qualify as an individual? 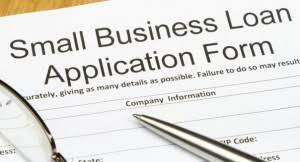 It is unnecessary to be incorporated in order to get a small business loan as long as you have presented legit business registration, have a business tax I.D number, and a checking account for verification. However, being a corporation may have some advantages over individual applications although this may depend on the lender so stay informed on the best options that fit your needs the most by consulting with a trusted financial advisor. Does bankruptcy limit my qualification? Qualification for any type of loan especially small business loan is greatly affected by the length of time you are bankrupt. However, if the bankruptcy is in the process of being discharged within a period of say 2 years, some lenders may be willing to work with you if your credit report also meets criteria. Do I need a perfect credit score to get a small business loan? This mostly depends on how bad your credit is, but it is not the end of the world when it comes to qualifying for a business loan provided your business is healthy and has a promising cash flow that can afford repayment of the loan. It is common for lenders to analyze your credit profile as a method of verifying the future of your business, and a poor credit history is always unwelcome, as you’ll likely have to give the reasons for your poor numbers. In a normal case, a credit score of less than 650 will most likely deny you both SBA guaranteed loans and loans from your local banks, which puts you in a position where you are forced to look for alternative sources of financing your business and face probably higher interest rates. Will I need a business plan to get the loan? The different type of lenders look at it differently. Credit unions, banks and SBA lenders will mostly need to see a business plan before giving you a loan. Online lenders on the other hand only need to see the business side of things and will not insist on a business plan. Do I need certain documents to qualify? This varies with every lender, but just like any other type of application, having crucial documents at your fingertips will hurry things up with your local bank or online lender. Where do I get a Small Business Loan online? Nowadays, the online market offers an incredible range of convenient options that bring your most sought after items to your doorstep and it’s the same for small business loans. I could name a full list of options which you can analyze on your next loan application but here are two quality options that first come to mind. LendingTree.com is another leading online loan marketplace with one of the largest networks of lenders. Their service provides borrowers a way to connect with various lenders for their different borrowing needs and at the comfort of home. On top of that, they offer stats on the best loan rates at any particular moment and track your credit score for you for free. If you don’t have a trust fund or a pile of cash on an island account waiting for you to pick a business of your choice, then you will find yourself needing to borrow from a trusted lender.